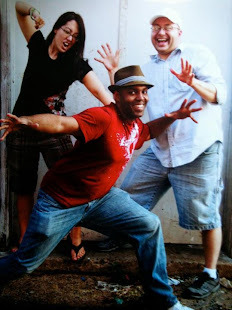 As an indy comic book creator and friend of MAW Productions, Black Ant has been on our radar for a while. His art is energetic and vibrant with an animated quality not seen in a while. So, I asked him to give us a hand in explaining his digital inking techniques! This is an in depth look into digital inking and on the advanced level. So, you might want to have some knowledge of photoshop while tackling this one! Give it a read! You will be glad you did! This technique I am about to explain is how I create more traditional style comic work using only Photoshop. You can apply the steps to scanned images also. From my experience, it is not a faster process than traditional inking, but I believe it to be more convenient for those who may not have experience using brush and nibs or also if you don't have access to your equipment. I created this tutorial for people who are somewhat knowledgeable about Photoshop basics. I am currently using Photoshop CS4 and a Wacom Intuos 4 Tablet, but this process should work regardless of your Photoshop version or tablet. I don't go into great depth about tools and their usage, but I do explain how to access each setting I discuss in my process. Also note, I do use the pen tool for certain parts of this illustration. It is not necessary, but it is convenient for longer and smoother lines. I don't go into detail about how to use it, but you can find tutorials online and YouTube on how to master it. 1. I start off with a loose digital sketch of the character. 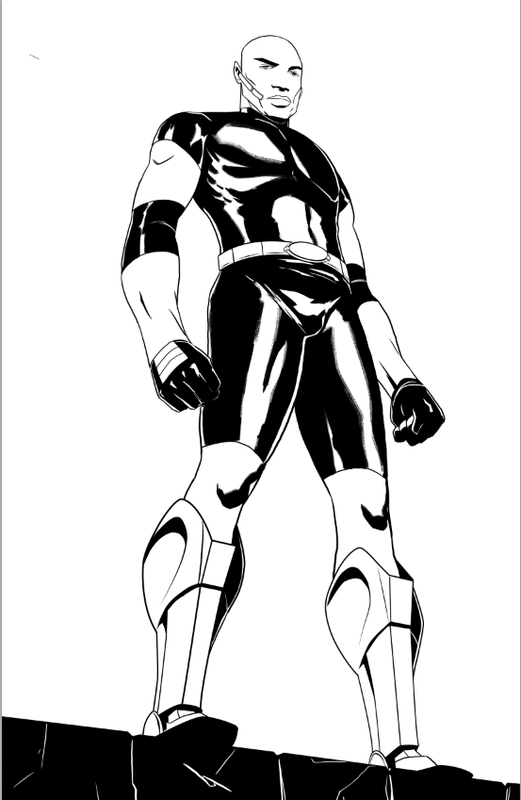 This is a commission of the character Ochi, who is created and owned by David Riley of All Knightz Comics in the UK. I am only paying attention to the general line work at this stage and making sure proportions are correct. For this particular illustration, the client wanted the camera to be placed underneath the character, so the proportions can be a little tricky for this angle. I work on a separate layer from the white background. This will later be merged down, but for now, I keep the layers separated so if I need to erase, I do not have to worry about the background layer. 2. Once I get a good enough sketch, I then go and clean up the line work. I am still not paying any attention to the shadows at this stage. I just want to make sure my line art is as clean as possible for the inking process. I also do not worry about any small intricacies either (such as the belt or the headset) at this point because I will be using the pen tool later for those items. -Switch back and forth between the brush and eraser tool to clean up your lines on the initial loose sketch layer (my preferred method). 3. 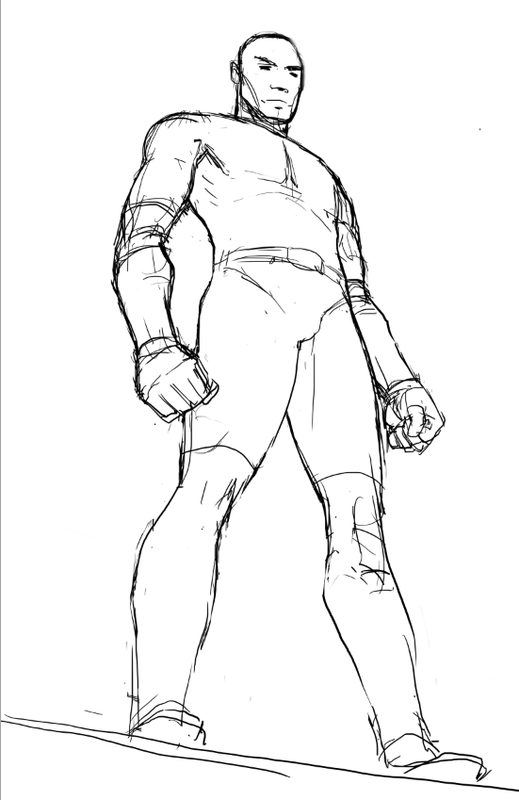 Once you have a tighter sketch, its time to go in and add your shadows. 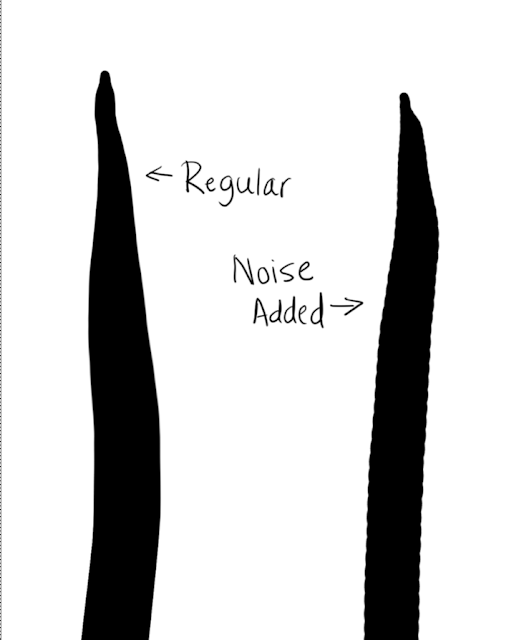 I do this by using a larger brush size with Shape Dynamics turned on to 'Pen Pressure'. This gives a more fluid stroke to the shadows. 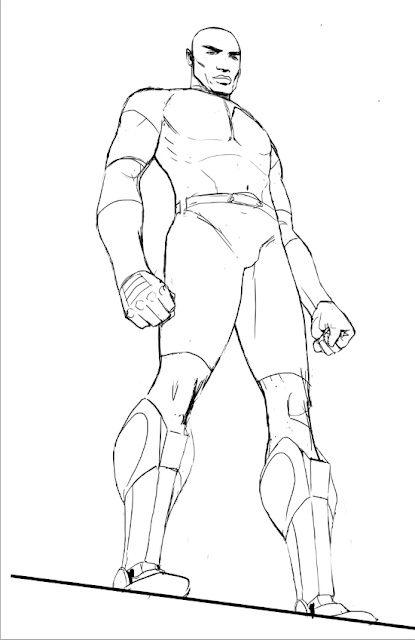 I also use the eraser tool to get any small details I may not be able to create fully with the large brush such as the fabric folds or the outline around his chest. Again, you do not have to be 100% precise at this stage. You just want to give yourself a general layout of what areas you will be tracing over. 4. This step is important if you are working on a tablet such as the Intuos or the Bamboo. You will need to scale up the image, at least +50%. I usually double the image size. 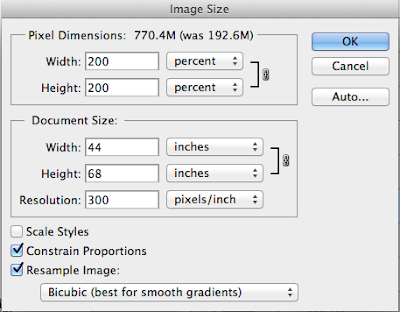 You do this by going to Image > Image Size. Go to the drop down menu under the Pixel Dimension section and change it to 'Percent'. Make sure Constrain Proportions is checked. Enter anywhere between 150-200%. You will be downscaling the image back to its original dimensions once you're done, but be cautious with your memory, because upscaling an image this large does allocate a good portion of your RAM. If you don't have over 4GB, you may experience some lag. You can compensate for this by making sure you only having one Photoshop document open and lowering your layer count as much as possible. Now the reason I do this is to compensate for the jitteriness of my line stroke when working on an tablet. Its inevitable to have some sort of jittery line, but once the image is downscaled, you will barely be able to see it. The larger you can work, the less jitteriness in the stroke you will see once downscaled. 5. After you have upscaled your image, next you will be changing the hue of the sketch so you trace over it. You do this by Image > Adjustments > Hue/Saturation. Click Colorize. Change your Lightness Settings first to 40%. This allows the black pixels to show the color change. 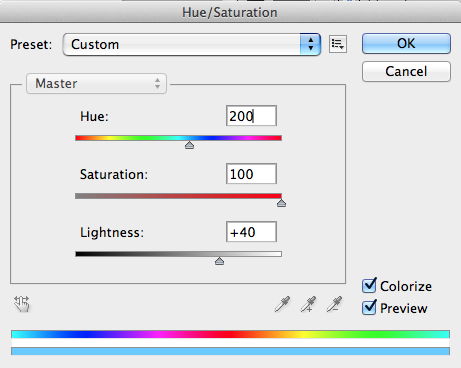 Next you will adjust the Hue and Saturation settings. I prefer to use blue lines for sketch, which are the settings I have shown, but you can use any color you like. The whole purpose of this stage is to allow the line art to be seen when inking over it. 6. Your line art should look similar to this. 7. 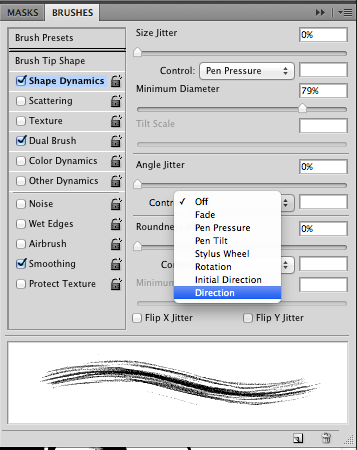 Now you're going to start getting your brush settings ready for inking. Use a regular hard round brush with the settings I have in the screenshot. 8. This step is optional depending on your preference, but I turn 'Noise' on. Reason being is because it gives a sort of grainy feel to the ink lines, similar to how your lines would look if you scanned in an inked illustration. Its a very slight difference, but I like the final look. 9. Next I use a new layer and begin to ink over the outline of the blue sketch. 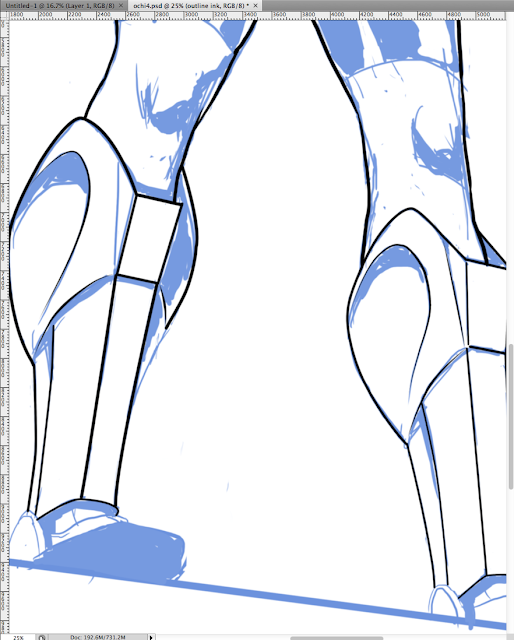 I purposely did not ink the boots in this stage because for long straight lines, long curves, and techno-organic shapes, I prefer to use the pen tool. 10. As you can see, a lot of the lines in the boots are very smooth and elongated. I use the pen tool so I don't have to worry about jittery lines. You can also set the settings of the pen to give you a tapered line, like I used in the indented parts of the boots. I won't go into detail on how to use the pen tool in this tutorial since it takes awhile to grasp the understanding of how to use it, but if you are already experienced in its usage, its definitely a valuable asset in the inking process. Use it sparingly though as the whole purpose of my process is to try to emulate as close to a traditionally inked illustration as possible, so you don't want every line to look perfect. 11. 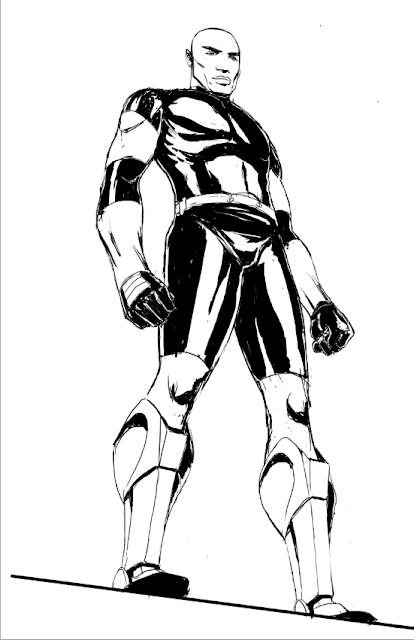 Next step you are going to set up a new layer and start inking in your shadows. Once you are happy with them, merge down down the shadow ink layer with your inked line work by holding Cmd (Mac) or Ctrl (Win) while clicking on both layers. Right click and select 'Merge Layers'. 12. At this point you may be satisfied with the results, but I want the edges to be little softer as if I were using a real brush. To do this, I use a set of brushes created by another PS user which you can download at this link (http://www.brusheezy.com/brushes/18074-comic-ink-brushes-by-mateo). Once you download the file, you should place the .abr file in your preset folder by dragging the file to your PS folder: Adobe Photoshop/Presets/Brushes. 13. 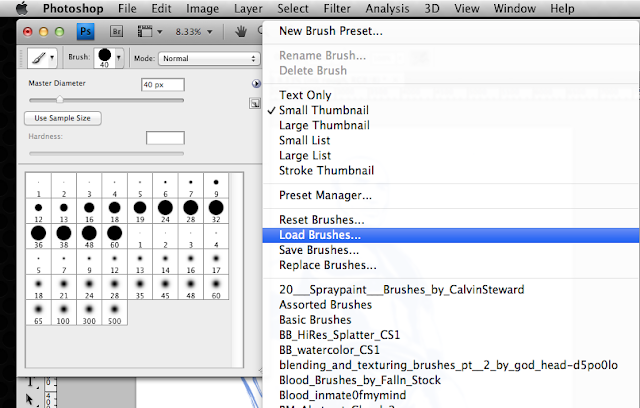 Next you will load the brushes by going to the Brush menu and clicking Load Brushes. Find the .abr file in directory listed in the previous step. 14. 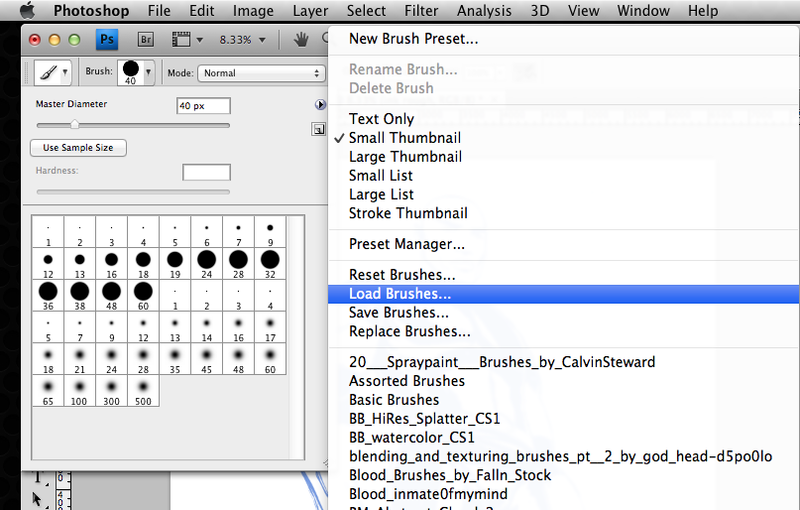 Select the brush labeled 'Pinceau Poil Long' and open up the your brush settings by going to the brush panel icon (if you're using Panels) or go to Window>Brushes. 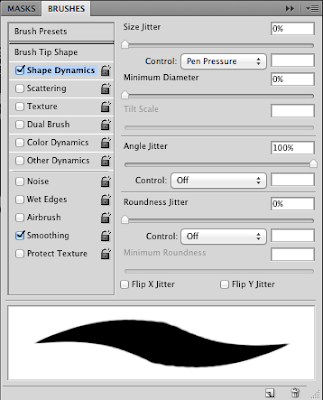 You are going to go to Shape Dynamics and set the Angle Jitter Control to 'Direction', which basically sets the brush hairs to follow the direction of the pen. 15. Trace along the outside of the hard edge areas. For any areas where you may go over into the pure white (such as in the area on the armband), just erase over it. 16. 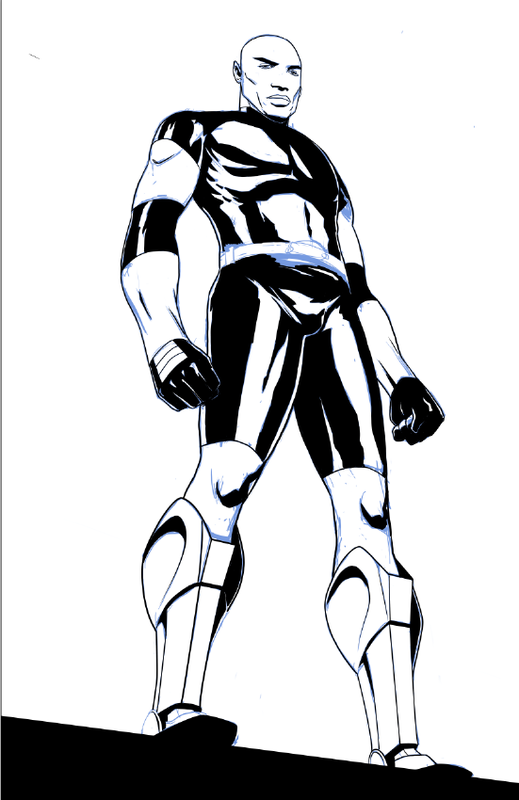 For the last stage, I then merge down all the inked layers with the white background. I then go back to my 'Regular Hard Round' brush, change my foreground color to white, and go into adding small details to areas where I want to create more contrast such as the fold in the fabric folds, the outlines of the uniform and the bricks. I also will go in and use the pen tool for utilities and weapons like his belt and headset. 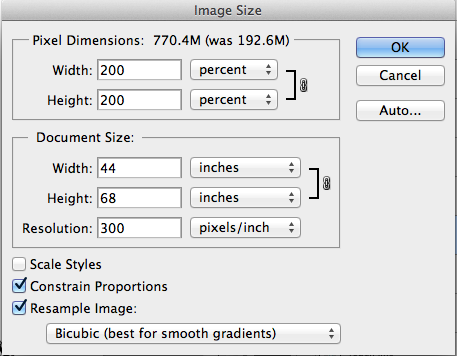 Once you're happy with the result, you can downscale the images to its original dimensions and begin your coloring process. If you have any questions, feel free to contact me through Facebook.